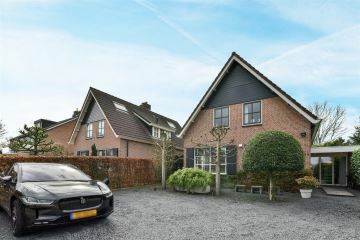 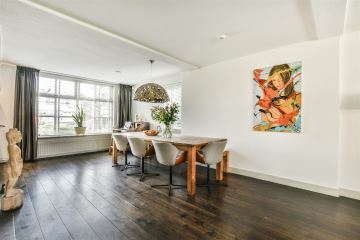 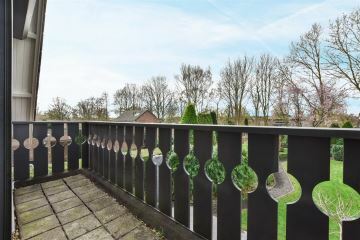 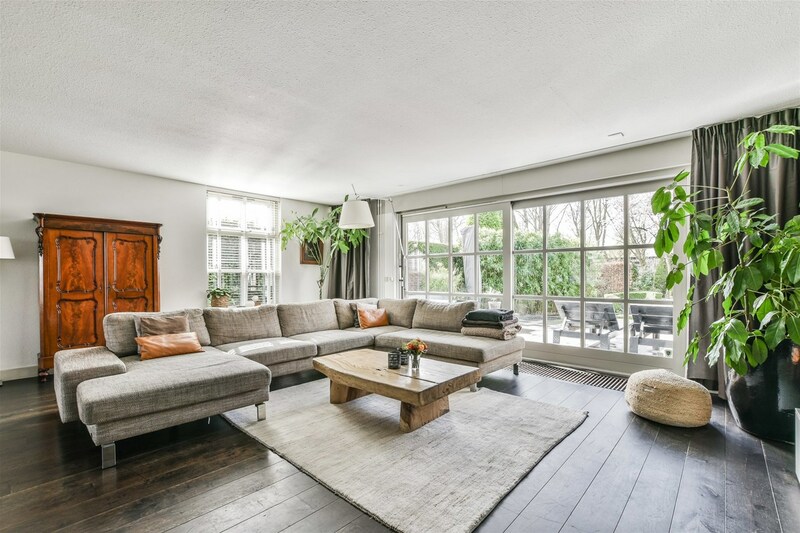 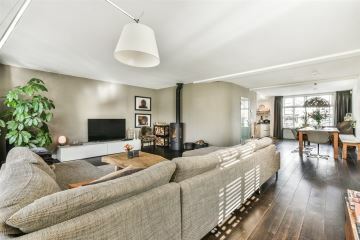 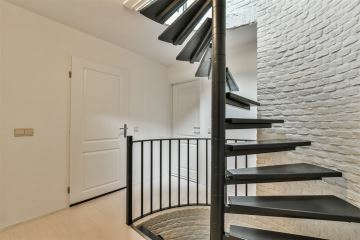 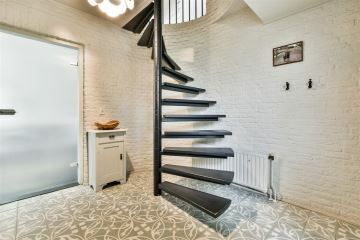 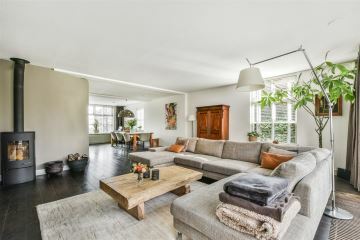 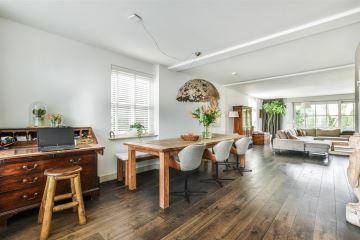 Bozenhoven 136 3641 AJ Mijdrecht - Voorma & Millenaar Makelaars en taxateurs o.g. 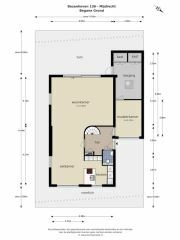 We proudly present this beautiful detached villa of ca. 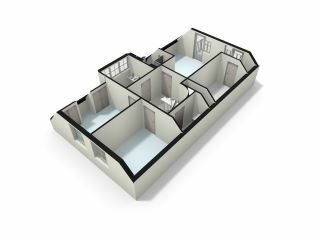 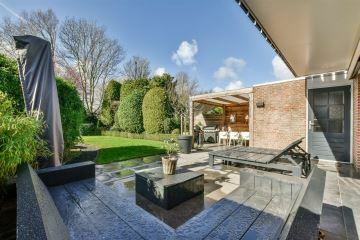 195 sqm (NEN survey standards), situated on a vast 625 sqm-plot. 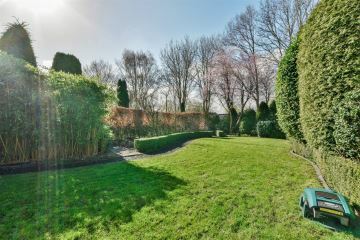 This family home with a large front and back garden, private driveway, six (bed)rooms and two bathrooms is immaculately maintained and clearly cared for and attended to by the current owners. 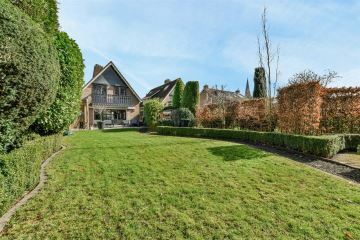 The large driveway, which can easily accommodate three cars, leads to the entrance of the house. 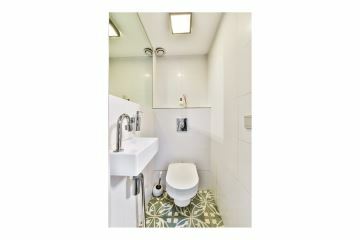 The hall with charming (original) Portuguese tiled flooring takes you to the expansive living room. 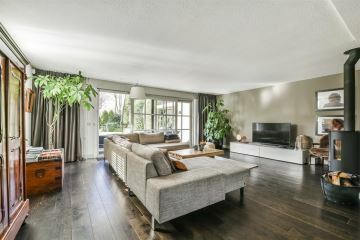 The cozy sitting area is at the rear of the house and features a wood burner, stunning oak flooring and sliding doors to the expansive back garden. 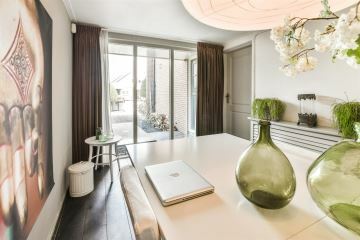 The dining area is at the front. 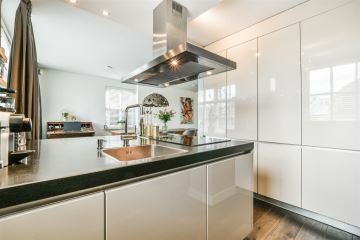 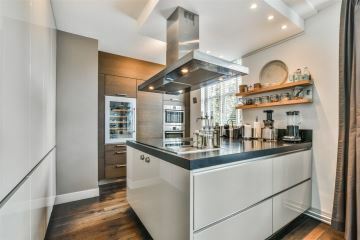 The (semi-)open contemporary kitchen is fitted with natural stone countertops, a full range of appliances, a wine refrigerator and ample drawer and cabinet space. 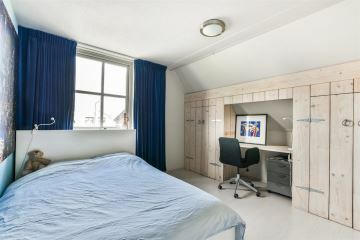 The former garage has been divided into a study/ room and a spacious storage area with access to the back garden. 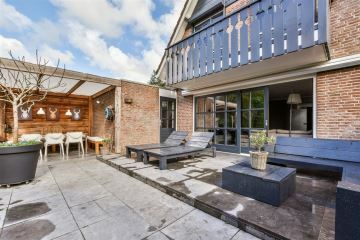 The back garden is an impressive size, ca. 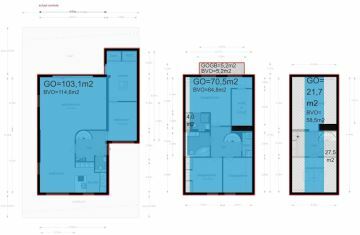 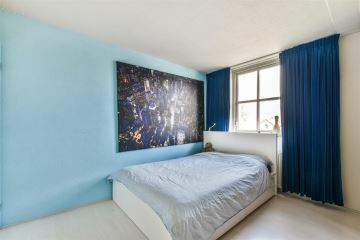 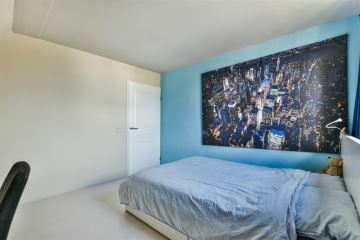 330 sqm. 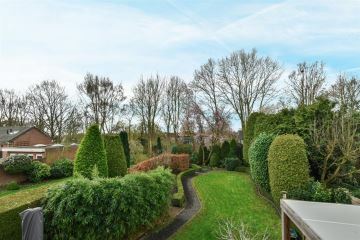 The garden faces south-west and its excellent orientation and generous dimensions ensure sun exposure throughout the day. 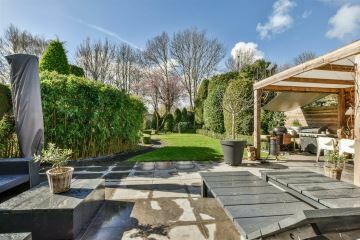 The veranda with natural stone tiling is the perfect place to relax in the shade on hot days, but also serves as the perfect sheltered spot to sit outdoors on rainy days - just turn on the patio heater and enjoy! 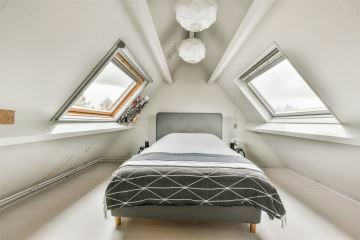 The first floor accommodated three spacious bedrooms and two bathrooms. 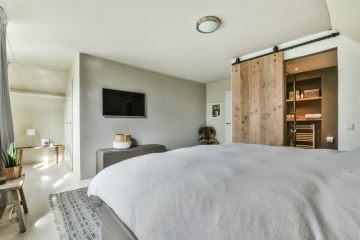 The master bedroom with a walk-in closet features a private master bathroom with a shower, vanity and toilet, and accesses the balcony. 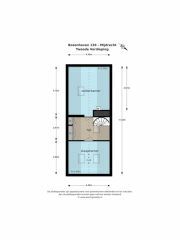 Both other bedrooms are at the front, the larger bedroom is fitted with wardrobes. 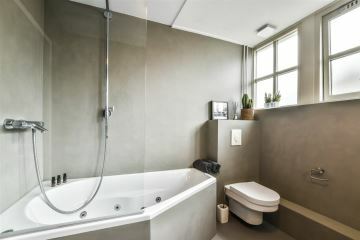 The central contemporary bathroom is fitted with a bath (jacuzzi), double vanity and toilet. 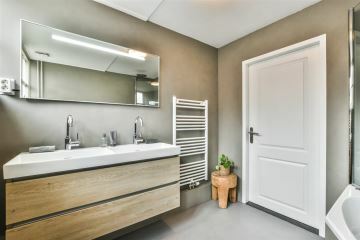 Both bathrooms were recently fully refurbished and coated (2018). 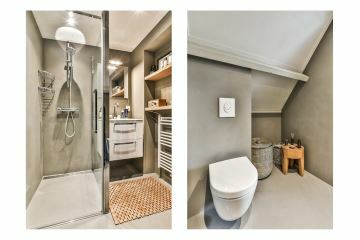 This level also accommodates a separate laundry area for the laundry machine and dryer. 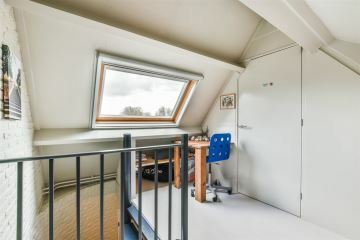 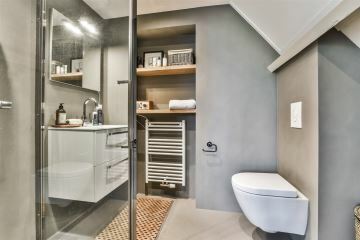 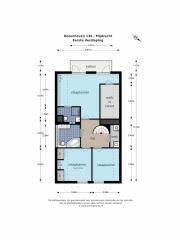 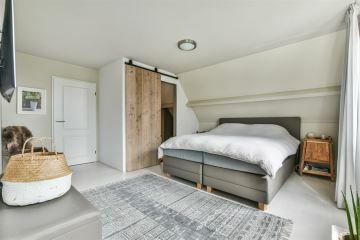 The second floor accommodates the fourth bedroom with Velux roof windows and a large storage area (also with a roof window) which can easily be converted into a fifth full-sized bedroom. 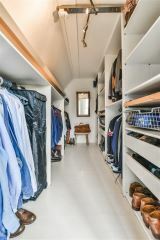 This floor also features convenient built-in closets. In short: a stunning family home that is equipped with all modern conveniences and extensive outdoor space - guaranteeing optimum comfort. 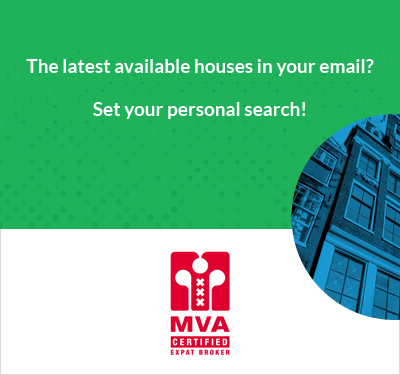 Contact our office for more information or to schedule a viewing! 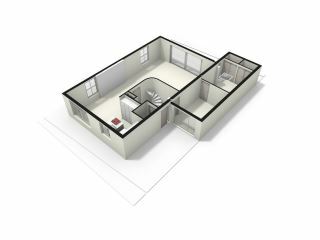 Please consult our floorplans for an impression of this home. 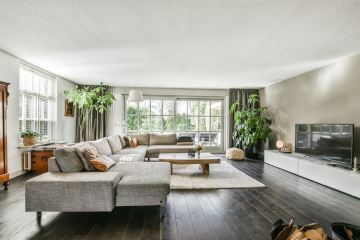 Mijdrecht (De Ronde Venen municipality) is at the heart of The Netherland's lush Groene Hart region, within a 20-minute drive of Amsterdam, Hilversum, Utrecht and Schiphol. 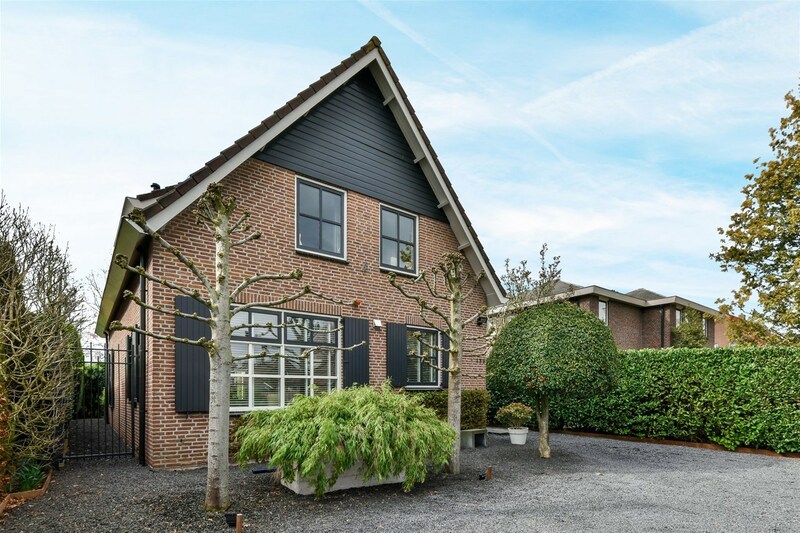 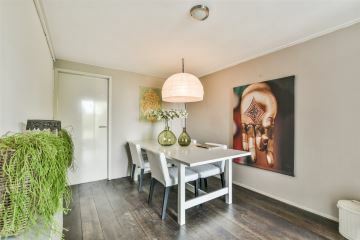 Mijdrecht boasts a large range of amenities, including elementary and secondary schools, a sports center, (athletic) clubs, a swimming pool, public library and numerous caf�s and restaurants. 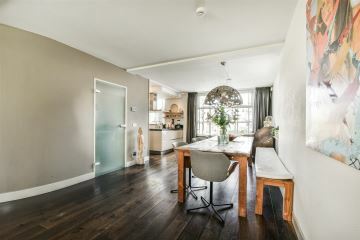 It has a charming town center where activities are organized throughout the year on Raadhuisplein. De Ronde Venen municipality is a lush area with lakes, located in the Groene Hart region. 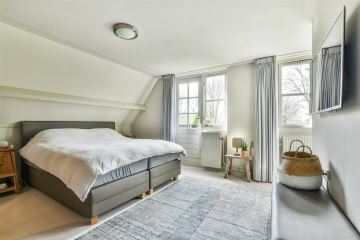 This municipality allows for countless options in terms of recreation and is the perfect location to enjoy the peace and quiet of the natural surroundings. 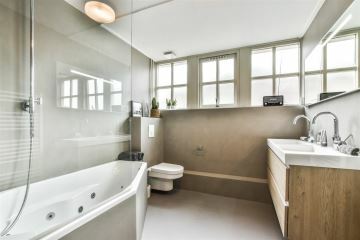 -	Both bathrooms completely renewed recently (2018). 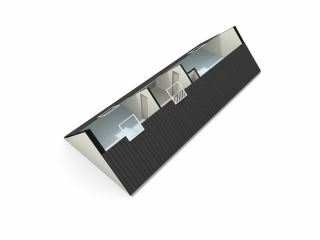 -	Delivery upon mutual agreement.